This Golden Israel Vintage Symbol is the Authentic symbol of the state of Israel that was chosen in 1949. Overcoming 450 other proposals, this design Symbolizes Israel's past - as we once were slaves and our future desires for peace ( Olive leaf). 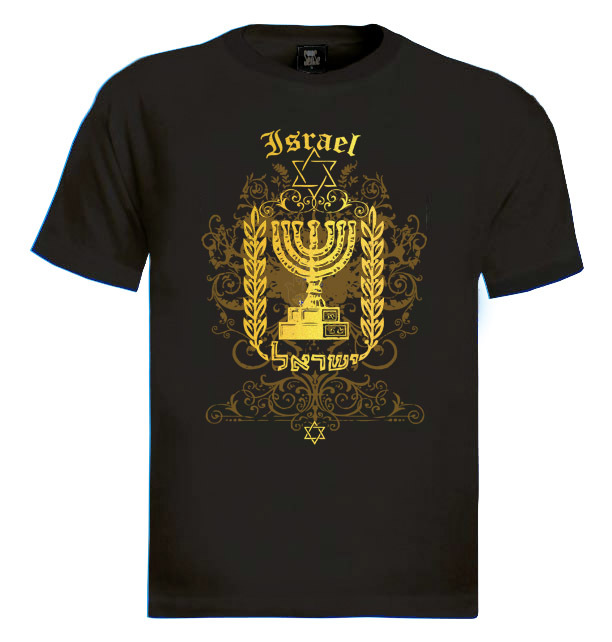 Wear this Golden Israel Vintage Symbol T-shirt with pride and spread the golden light within Israel. Made from 100% High-quality combed cotton T-shirt. Our t-shirts are made of 100% cotton and are long lasting with bright colors. Our products are all designed and printed in Israel.